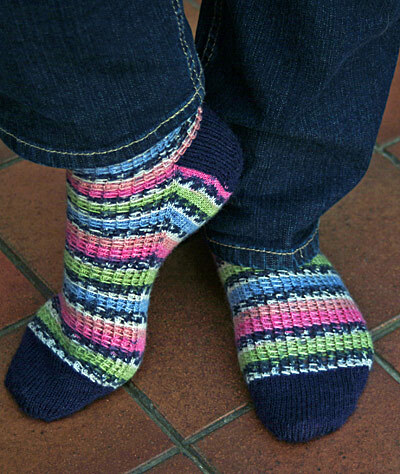 Pattern: David’s Toe-Up Sock Cookbook with Waffle House stitch pattern inserted into the formula. Yarn: 56g of Opal Petticoat 1251 & 19g of Stylecraft 4ply in Navy. 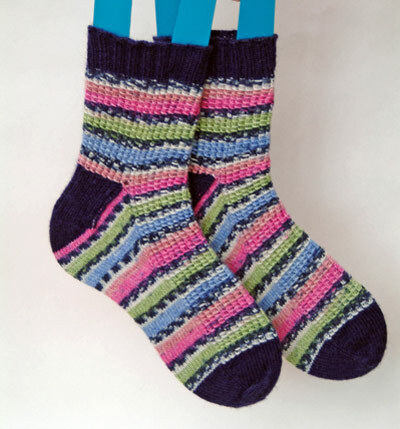 Both yarns were given to me in swaps and I went toe up to make them as long as possible. This is the 4th time I’ve used this pattern & I love it. >Very cool! 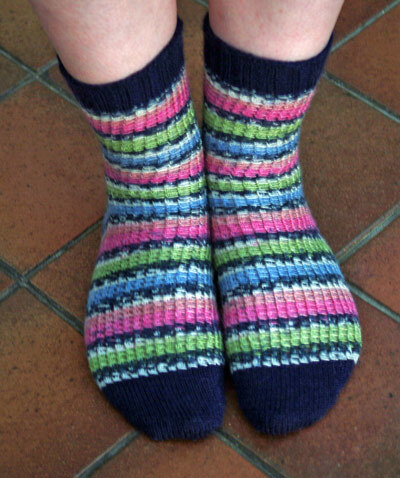 I must do another pair of toe-up socks sometime, haven't done any for ages. >They are lovely and bright! Just what we need on miserable days like today.